Last week while out to dinner with my brilliant writing group (minus Helen, who we missed terribly. She was off gallivanting on a grand adventure of her own) we got to chatting about social media platforms. Exciting things are happening in our group. Books coming out! Contracts being signed! Books getting finished! Deals being made! The need for promoting is here! As we talked and munched on chips and salsa, Instagram came up. Some of us love it, some have only dipped their toes into this instaworld and some are a wee bit clueless about it. “What pictures would I post?” someone asked who was talking about setting up an author account. 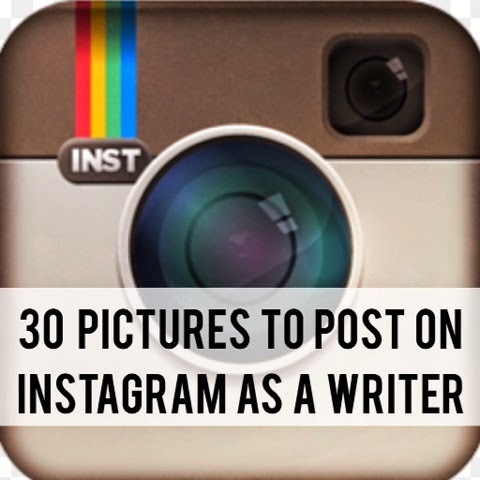 So, today I’m sharing 30 ideas for pictures to take as a writer or author. These should keep your Instagram account busy for some time. And, hopefully, you have loads of fun taking and posting these photos! 2. Your favorite snack to munch on while writing. 4. The view out your window while writing. 5. Your To Be Read stack of books. 6. Your favorite indie bookstore. 8. The book you’re currently reading. 10. Your favorite spot in the library. 12. Your favorite café/restaurant/burger joint to write in. 14. Favorite quotes using apps like Rhonna Designs or InstaQuote. 15. 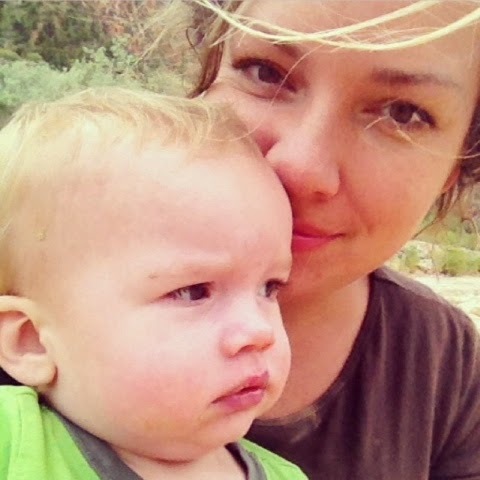 A picture from your blog post with the link. 17. You meeting a favorite author. 20. You signing a contract. 21. The first copies of your book when they arrive in the mail. 22. You and your agent. 23. You and your editor. 24. A celebratory dinner with your writing group. 26. What you do when procrastinating the writing. 27. Shots from a writing retreat. 28. You jumping/shouting/squealing/throwing confetti/bungee jumping, inhaling pickles after you sell a book/snag an agent/finish writing a book/get invited to a sleepover with J.K. Rowling. 29. Celebrities you imagine playing the parts of your characters. Easy peasy, right? Now for a few more Instagram tips (It’s a bonus *list!)…. #1 Keep your bio punchy! But make sure it also shows off your personality. And include the link to your blog. #2 Engage with other users! If you want to have a presence on Instagram then you can’t post content and leave. Don’t be a drive by poster! Take time to like others’ photos, comment, strengthen ties and make new friends. #3 Post great photos! Use clear, well lit, engaging photographs. #4 Don’t be boring! Take interesting shots. Try taking pictures from different angles or with a new perspective. #5 Link up! Make sure you link your account to other social media platforms like Facebook, Twitter and Tumblr and share your photos across these platforms. #6 Use hashtags! You want people to find you, right? This is a great way for them to do it. Some of my favorites are #amwriting, #books, #bookworm, #writer, and #booklove. For more great ideas check out 100 Twitter Hashtags Every Writer Should Know. What kind of pictures do you like to post on Instagram? Do you know any other tips for using this social media platform? *Yep, I have a thing for lists. As illustrated here, here, and here.